Here we go ... 2 new releases from Artistic Outpost! Chalk it Up and Chalk Board Wisdom. 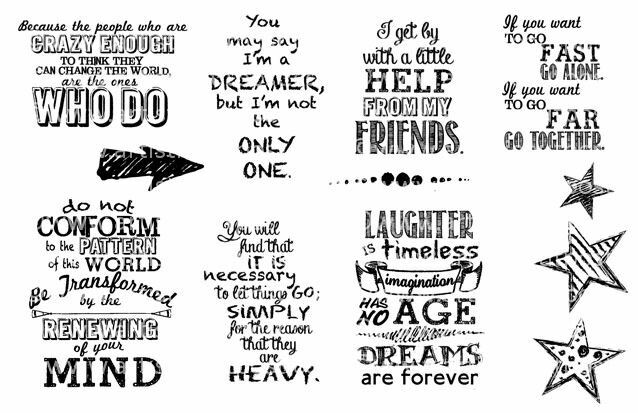 This set of sayings has to be my favorite. So easy to use with so many projects, cards or scrapbooks. 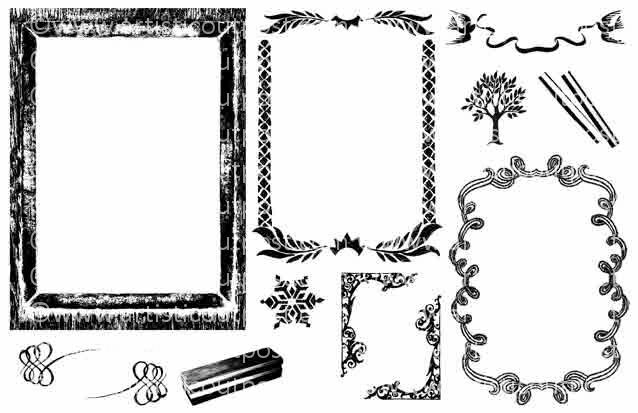 In the set of frames, I luv the large frame...you can stamp it, distress it even more, or emboss. 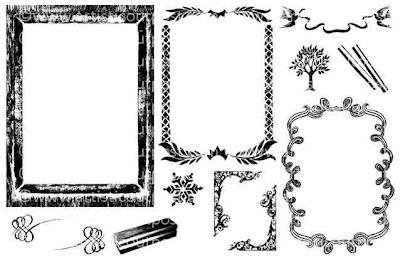 The frames go with so many of our stamp sets. 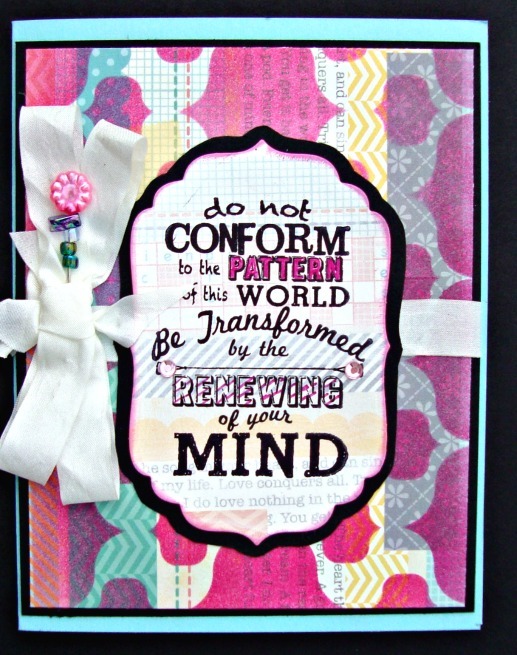 I choose this first saying, because of the first 3 words..."do not CONFORM". That about says it all about me. I hate to conform to rules and regulations and dislike doing what everyone else is doing or wear what everyone else is wearing....gee...does that sound like me? YUP! I just like to be ME. lol For the background, I chose a very colorful paper that looks like it's covered in various washi tapes. I then choose to stencil over that paper, using a stencil from Just a Trace, stencil mini, Palazzo. I choose to use the picked raspberry Distress ink to use thru the stencil. I love how the paper and the stencil go together. My next card features the large frame from the Chalk it up set. I used an embossing folder on the frame after coloring with black ink, then white chalk. The first thing I thought of when choosing this frame was how well it will work with all our stamps, then I thought Halloween, and then this is what I choose. The gentlemen from the London set was stamped on mirror card stock using Stazon ink. This was extremely hard to photograph, I think I tried 6 photos before I got one that didn't have my face or fingers in it! I created the saying with my label maker. Kind of reminds me of the picture on the wall, where the eyes follow you no matter where you stand in a room! Ooh, the stencilled paper looks so cool, and I love the pink accents on the words - fabulous! And your embossed frame is genius! Two really sensational pieces, Gerrie. LOVE the stenciling/colors on the first one - what a great technique to stencil over the patterned paper. And the frame on the second one is very cool too! Great pieces for our release day hop! Love the use of the stencil of the pattern paper, makes for a wonderful background! 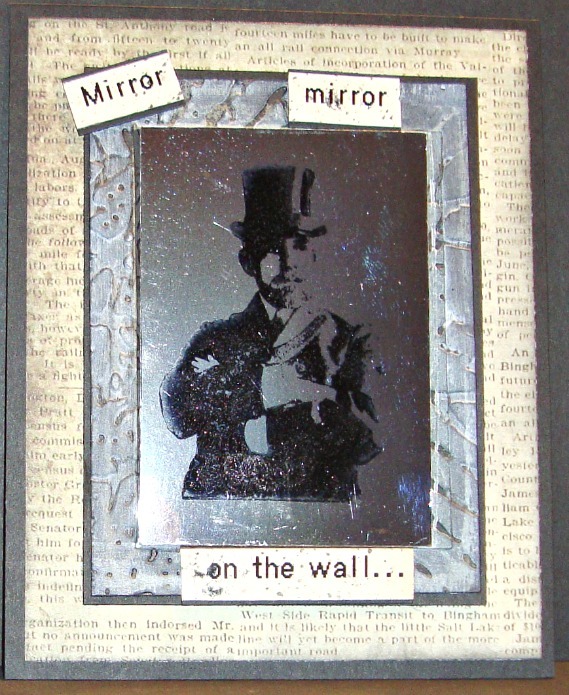 Gentleman Jim looks wonderful framed on your mirror! Your stenciling made such a great background with that pink. Love it. And I love this verse as well. I really like the masculine theme to your second card. That frame goes perfect! Gerrie, love your first project of course because it has pink in it! The frame in the 2nd one is awesome! I love both of these sets! 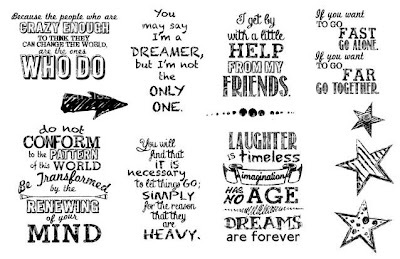 Especially the sentiments from the Beatles' songs! Conformist you? LOL! Love the fun and pretty background behind the great quote! The mirror with the man in it reminds me of OZ. Don't look behind the curtain! Cool projects! GF, we think much alike in many ways and not just art! Too funny as I do not conform! 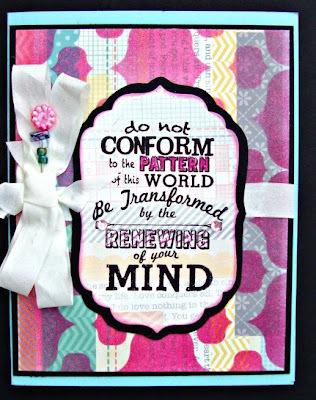 Love what you did with that sentiment and the touches of hot pink and in the background, my non-conforming friend! Fabulous use of the frame! Love these both! The new plates are wonderful...love what they say! Great use of the frame for a mirror...bravo! Love the brightness of the other!!! LOVE them both! Well done! I love the pink on that card! VERY cool!